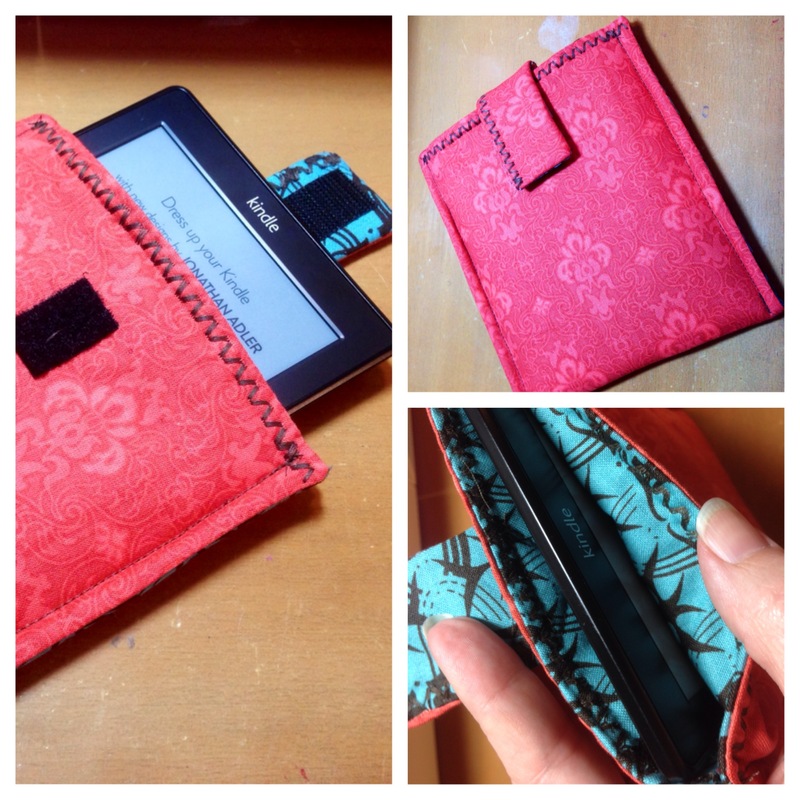 It is a simple case with a little upcycle to it. I had the fabric all ready and as I was looking through my supplies I realized I didn’t have any batting. Oh, NO! But upcycling to the rescue! 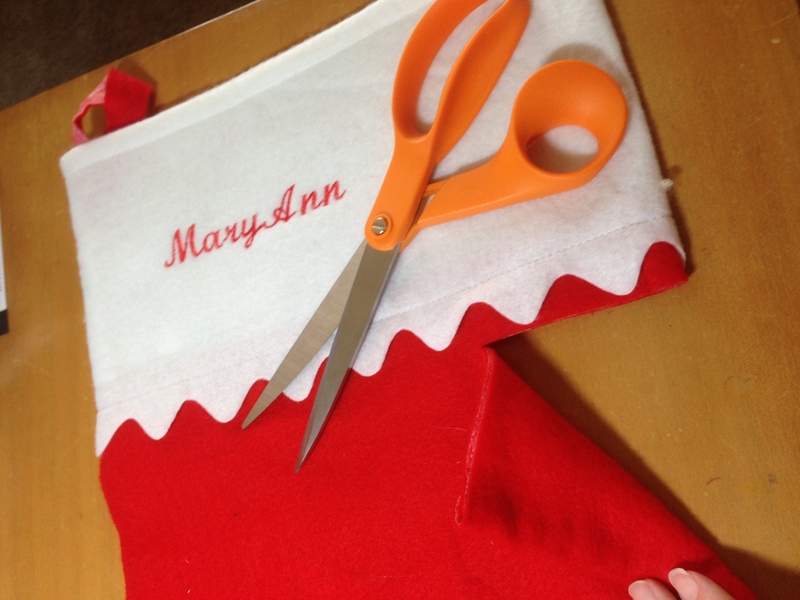 I used an old stocking that sits in my craft room. It was the perfect weight for my little case. After measuring the Kindle it was pretty easy. 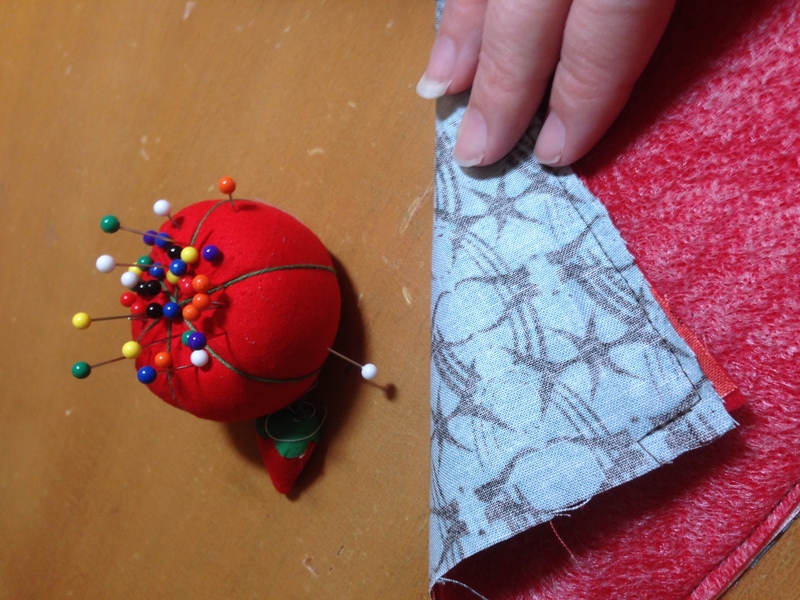 Layer my fabric and sew…. Richland School District Two is honored with the ISTE Sylvia Charp award. I cannot believe it! My day started with the official press release from ISTE stating our district, Richland School District Two, will be honored with the 2014 ISTE Sylvia Charp Award for “leveraging the power of 1:1 learning.” Wow! Congratulations to everyone in Richland School District Two! South Carolina’s Richland School District Two is the winner of the 2014 Sylvia Charp Award for District Innovation in Technology. Presented by ISTE andT.H.E. Journal, in honor of the magazine’s founding editor, this award recognizes a school system for exhibiting effectiveness and innovation in the application of technology. Richland School District Two is honored for bringing innovative practices to its classrooms, through both a 1:1 and BYOD programs that are being implemented with a focus on ensuring that the proper policies and procedures to support learning are in place. Technology integration coordinator Donna Teuber and the Technology Integration team will attend ISTE 2104 to accept the award on the district’s behalf. What is the Sylvia Charp Award for District Innovation in Technology? Presented by T.H.E. Journal and ISTE, this award recognizes a school system larger than one individual school (school district, school board, secretariat of education, education organization) that exhibits effectiveness and innovation in the application of technology. Widespread implementation: The winner will ensure equitable and appropriate technology use for all students in the system, aimed at improving learner outcomes and increasing learning opportunities. This year has been a year of self learning, book studies, and professional development about coaching in education. Let me give you a little back story on why. One aspect of my day job is to support middle school Technology and Learning Coaches. Our coaches are going through a transition with the implementation of 1:1 mobile computing for all students 3rd-12th grade. One of the transitions is even a title change from Instructional Technology Specialist (ITS) to Technology and Learning Coach (TLC). We removed the I.T. from there title and included T.L.C. Yes, we intentionally added the tender loving care to the name. We wanted to associate caring and coaching with the position to help teachers transition teaching and learning to a “21st Century” classroom. Our first step this year was to conduct professional development for the TLCs about “What is an adult learner?” Throughout the year, we learned about topics like: how to work with adults, presenting, verbal cues while presenting, time management, collaborating with others, and others. So back to the coaching…. Next year, we hope to implement a professional development plan to coach our coaches on how to work on technology integration lesson development with teachers. This brings us to the self learning, book studies, and professional development. 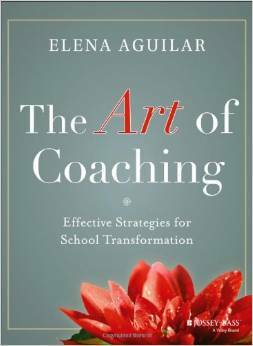 We have looked at a number of different options in coaching including Coaching Matters by Killon, Harrison, Bryan, and Clifton; The Art of Coaching by Elena Aguilar; and Peer Coaching with Les Foltos. Each of these resources bring in different perspectives and things I appreciate about coaching. Coaching Matters: Gives you a step by step approach on how to begin and implement a coaching program. The Art of Coaching: Looks at transformational coaching. The idea of looking at systemic changes to improve teaching and learning. I LOVE this form of coaching because it forces the coach to look at situations through different lenses. Allowing the coach to dissect situations with the Ladder of Inference. I feel The Art of Coaching is something an advanced coach can use to improve their skills. Peer Coaching: Is a form of coaching that helps teachers connect with teachers. It showcases a highly collaborative atmosphere to help work with teachers to infuse technology in to the curriculum. Peer Coaching is the only form of coaching that we investigated that looks specifically at technology integration. All of the programs offer great options. There are common threads throughout all programs: Communication, relationship building, trust, and inquiry. Being a coach means being the person who can listen, who cares, who helps with out judging or always being the expert, and asking the right questions to develop deeper meaning and understanding. This also means not deciding what your teachers can’t do before they try. Have you ever heard or said something like: “Oh, I can’t teach my teachers how to use (insert tool/instructional method here) because they can’t do that.” I have been guilty of this and I am trying to rewrite this to “Who is up for the challenge of trying (insert tool/instructional method here)? I was a technology coach about 10 years ago through an Enhancing Education Through Education grant. Coaching skills were vital for me to help teachers reach their next and highest goals. It allowed me to form friendships and collaboration that has lasted a decade. It has also be a great joy to see how far some of those teachers have come. When I hear of how they are sharing or presenting at conferences, its like one of my students graduating. Do you have to be a coach to utilize communication, relationship building, trust, and inquiry? No, but the coaching plays an important role in helping teachers move forward in reaching their goals.